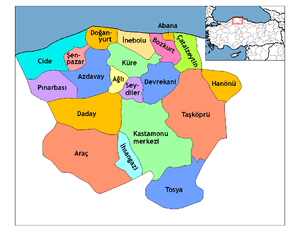 Location of Araç within Turkey. ↑ GeoHive. "Statistical information on Turkey's administrative units". Retrieved 2008-11-22. ↑ Statoids. 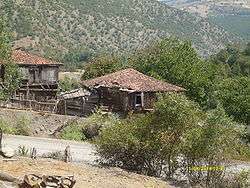 "Statistical information on districts of Turkey". Retrieved 2008-11-22.